Bloggers and Web designers love stock photographs. These photos can be used anywhere in the web projects. Specially blogger love stock photographs. They need these photos to use in their blog posts to make them more attractive. I’m talking about all these because today we have a giveaway here in which you can win two accounts from Depositphotos with $50 each to download any stock photos from their website. Before proceeding with the giveaway, I would like to introduce you with Depositphotos – sponsor of this giveaway. DepositPhotos.com is excellent resource for buying and selling Royalty-free photographs and vector images. The vast library of image stock coupled with our wide variety of flexible purchase options makes us the most convenient and profitable tool for designers, artists and photographers. Whether you’re a designer looking to buy images for a project or a photographer selling your stock, they make working with DepositPhotos.com as easy as possible. Their low, low pricing and flexible purchase plans make it easy to buy exactly what you need instead of just what you can afford. You heard it right. 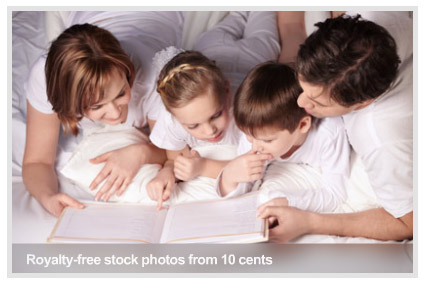 You can get royalty-free stock photos just from 10 cents. If you don’t need high quality photos and you are just looking for some photos to make your blog posts attractive then these photos are best for you. They have got more than 1,869,000 images in their database. I was amazed when I looked at the counting of images. With this huge collection, they make it easy for you to get your desired photo. They are also giving you free trial of 14 days. To get to know about Depositphotos, you can register and try their service for free for 14 days. To win the accounts, you need to satisfy the following three conditions. Retweet this giveaway. Retweet the following text or use the button in the starting of this post to retweet it. Wonderful giveaway! Count me in too. will tweet about it as this is great contest .